After saying goodbye to the guys as they headed back down South to the big smoke, I was staying up in Dundee for a wee while longer. As there was my friend Susan’s 30th birthday and her boyfriends Alan’s 50th birthday celebrations to be had. Much beerage happened over that week with parties, pubs, clubs and meals. Hanging out and catching up with friends – it was nice to just chill out, being back home in Dundee and not have the hassel of the daily commute between work and home in London! 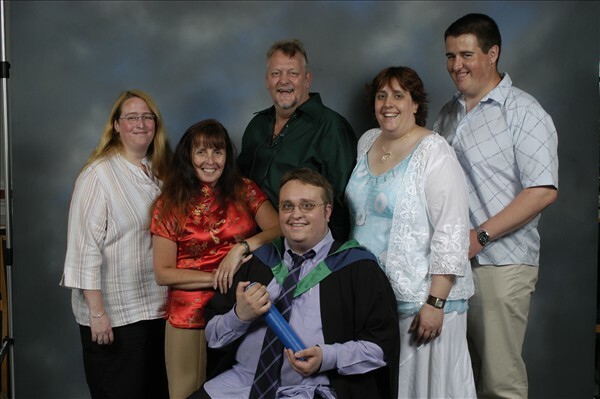 Another reason for staying in Dundee for another week was my wee Brother’s Graduation from Abertay University with a Degree in Web Design & Technology. We are all proud of William ‘Kzooie’ Baskerville getting his degree! That’s him now finished with University for now, and after he’s had his wee holiday in the Algarve with Mum and Dad it’s time to enter that big bad place called ‘Working Life’! Aft er all of that, I headed back down South to London with Richard & Kirsty who were going to stay over at my house for 4 days to see London. I was still lucky enough to be on annual leave so I could act as Richard & Kirsty’s ‘unoffical’ tour guide during their stay. Yes we did some touristy stuff, caught the boat to Greenwich, did the London Eye, Imperial War Museum, shopping on Oxford Street and Harrods – I also took them round Angel, HM Treasury, Stoke Newington – it was a very jam packed 4 days! And very knackering especially for Richard & Kirsty who aren’t used to the typical London Commute! 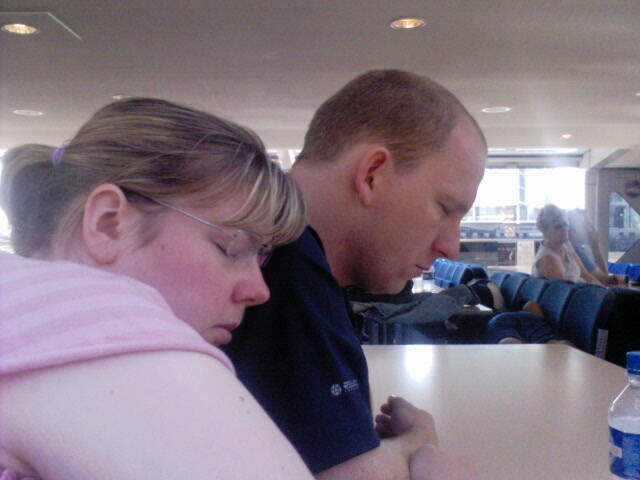 Here’s a photo of them on their 1st day of sightseeing, falling asleep on the boat back to Westminster. So, here’s my finally got up to speed with everything that has been happening over the last few weeks. Now you may be confused as to why this post is entitled ‘In Recovery’. It’s very simple really, I’m knackered!!!! Richard & Kirsty went back up to Dundee on Friday afternoon, I was out for beers Friday night as Jonathan, an old work collegue was back over from New Zealand = hangover Saturday Morning. Yesterday I went up to Camden to celebrate my flatmate Felicity’s half birthday (it’s her birthday on the 1st of January, and none of us are around at that time as we’ve all buggered off to our respective family homes, so we celebrate Felicity’s half birthday in July!). Again much beerage happened last night! 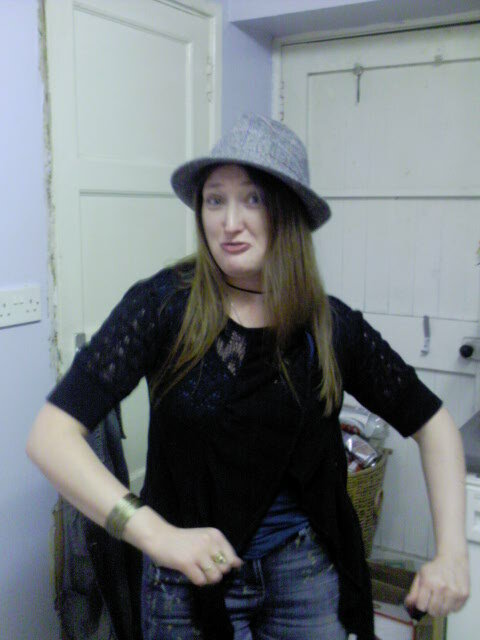 Thus the resulting hangover today. I still haven’t even unpacked my suitcase from when I got back from Dundee on Monday! I’ve got a huge pile of snail & e-mail to go through, I really need to do a washing otherwise turning up to work tomorrow will be rather interesting……. There just aren’t enough hours in the day, week, month…..
16 Jul	This entry was published on July 16, 2006 at 12:48 pm and is filed under Personal Blog. Bookmark the permalink. Follow any comments here with the RSS feed for this post.